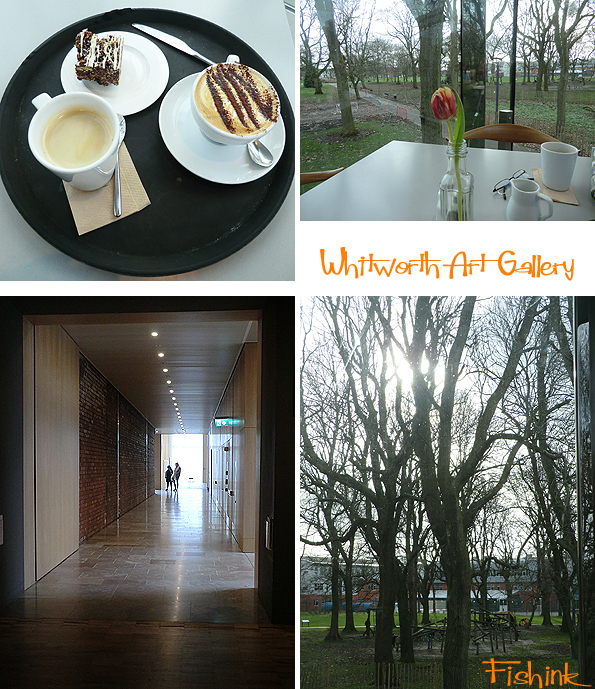 If I was to choose a local gallery that never fails to surprise or delight me with it’s exhibitions and general ambiance, it would have to be The Whitworth Art Gallery here on my doorstep in Manchester. No surprise that it won the Art fund prize for best gallery of the year in 2015, or that it’s director, Maria Balshaw is moving on to be the first female director of Tate, I wish her well. I visited again last week and discovered this rather eerie sign about a Meteor Fall in the adjoining park !! The building is a beautifully blended hybrid-mix of sixties wood/warmth and modern chrome/concrete. 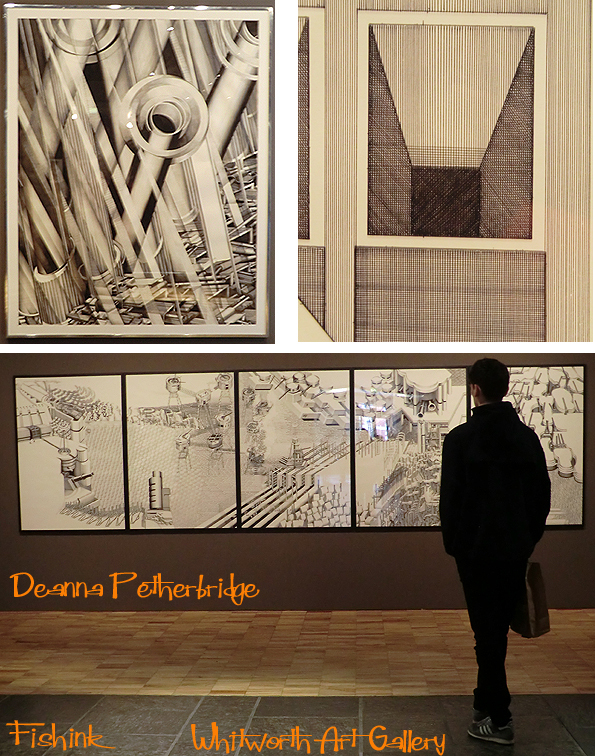 Somehow their selection of exhibitions are perfect for me, as they invariably have an twist of detail, texture and variety to them. 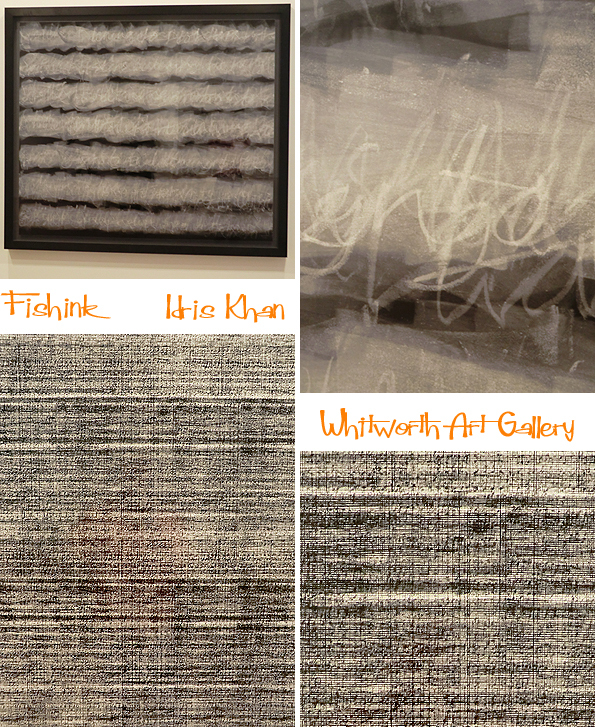 For instance this exhibition, taken from the last five years of the work of Idris Khan. His work draws from a diverse range of cultural sources including literature, history, art, music and religion to create densely layered imagery that is both abstract and figurative and addresses narratives of history, cumulative experience and the metaphysical collapse of time into single moments. It’s Idris’s repetition of the printing of the words or musical scores that he chooses to work with, that for me, takes his work from narrative into a textural free-form. The art piece below was formed, using the build up of printed rubber stamps. I like the 3-d illusion created by this chalky abstracted piece. From a distance the white areas looked like boxed organza. Always interesting when things aren’t quite what they appear to be lol. 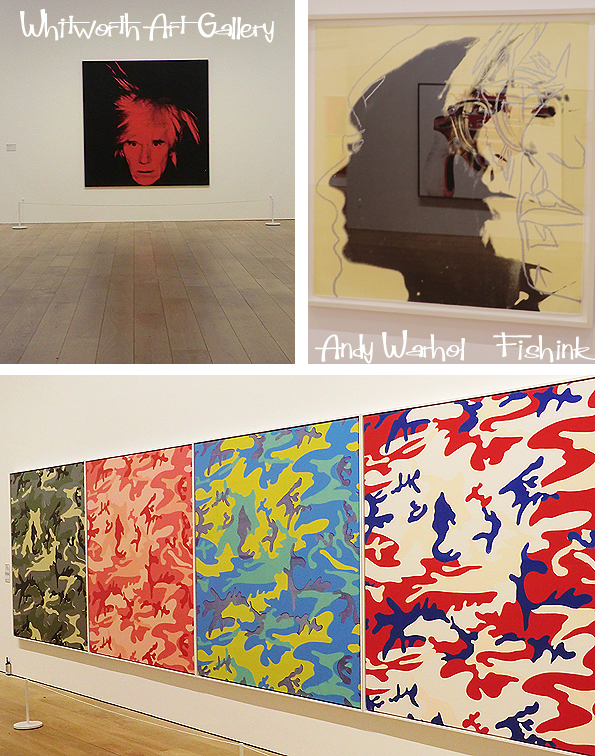 Another current exhibition “Artist Rooms” featuring some of the work of Andy Warhol created in the early 80’s. Did you know… In 1968 Andy Warhol was pronounced dead; shot by feminist author, activist and member of his entourage, Valerie Solanas. He was taken to hospital, received an open-heart massage and was revived ! Controversial objects that symbolise 20th century America are also here depicted in colourful and large scale format by Warhol. 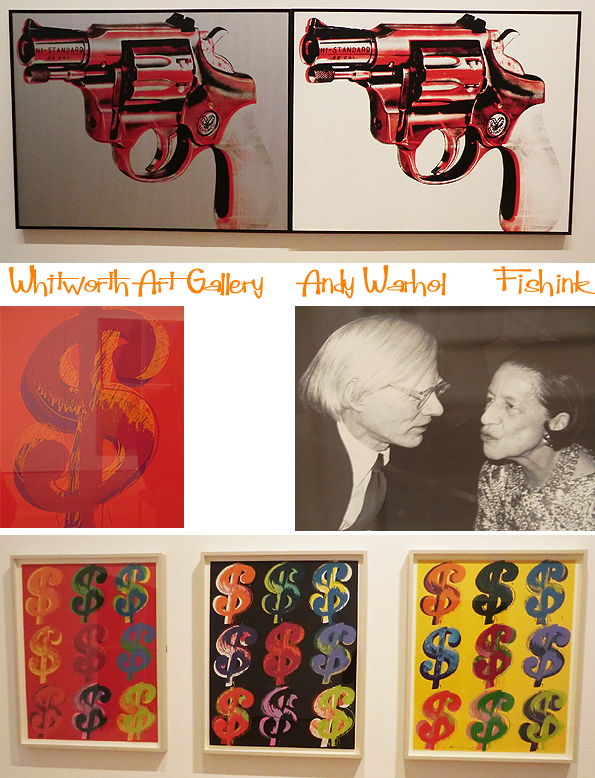 Of these works Dollar Sign (1981), Camouflage (1986) and Gun (1981) are presented here at the Whitworth, raising further questions around Warhol’s opinion of America. Sadly Andy’s later work didn’t inspire me as much as his earlier iconic screen-prints, although there was a great book in the Whitworth shop, which told me more about another side of this the artist. His pen drawings had a wonderful wit and flow to them. 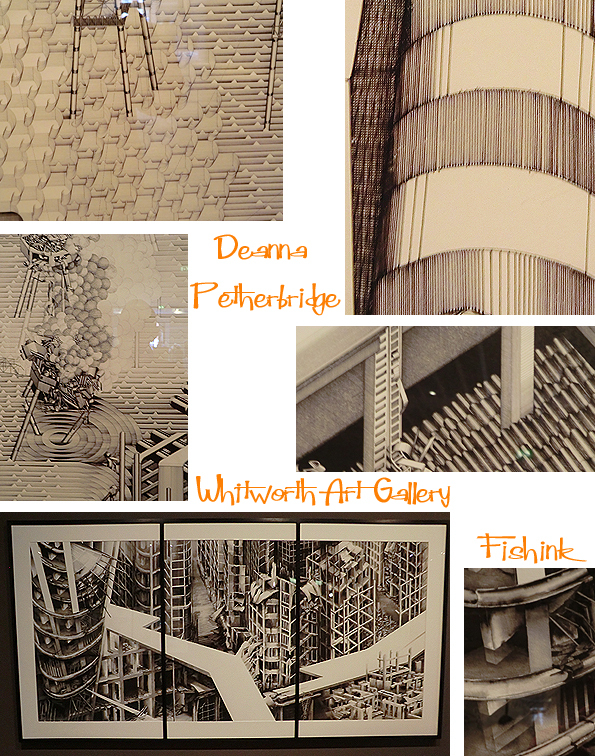 Another few rooms of the Whitworth were devoted to the work of Deanna Petherbridge. Large, sombre, black and white, detailed paintings and line work which made me think of 1984, Escher and Soviet propaganda posters. 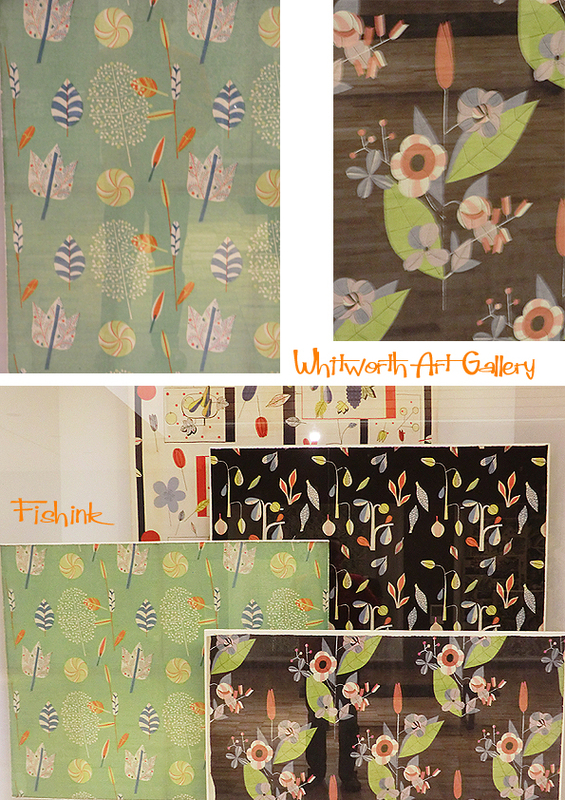 I liked the small, intricate changes in line and movement, more than the overall illustrations in their entirety. 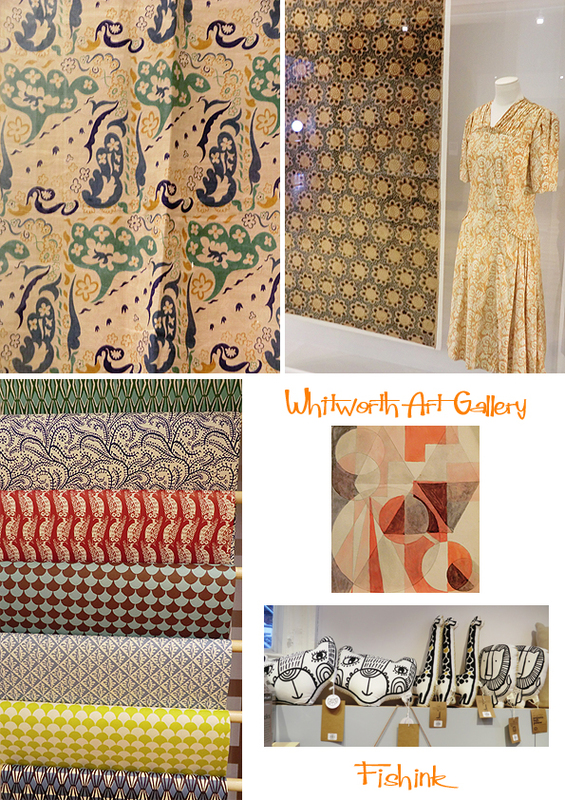 Textiles are always a warm and welcome part of the Whitworth. Their extensive archives have some beautiful examples of design work from many different countries and time periods. Here are just a few. The shop and of course the great cafe always get the thumbs up too. Coffee and cake among the treetops, what’s not to like ! 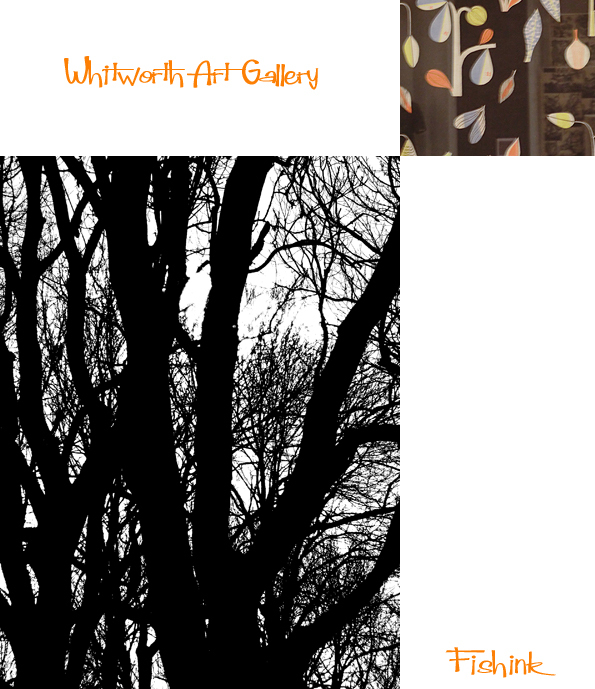 Thanks again to the Whitworth for providing us all with a local source of inspiration and delight, we are soo lucky to have you here. Thanks Wallace, it certainly is ! Great post. 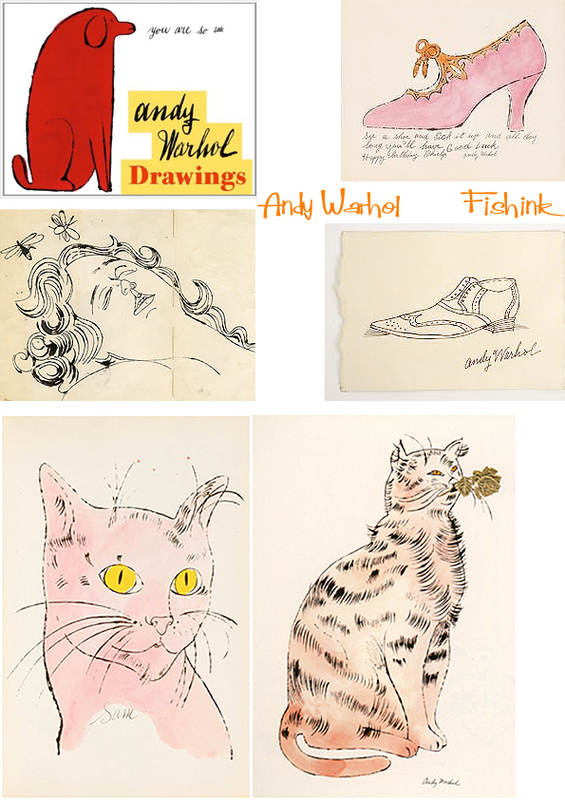 I tend to forget how good a draughtsman Warhol was. 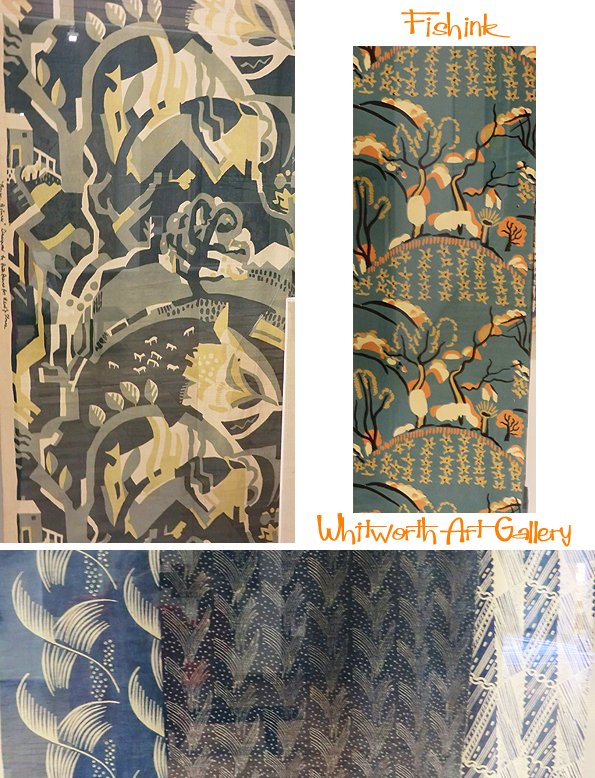 Also love the Whitworth (though I haven’t visited for many years) I was allowed access to their Rossetti collection in the basement once, when I was a student in Leeds . . .
would love to see it all up close and personal, but alas, I am only able to view it via the finest blog in the U.K…. (However, I am headed out the door to grab some pastries from our local bakery to enjoy with my coffee tomorrow morning… your coffee and cake inspired me.) Thanks for sharing, Craig. Hope your week goes well. I always look forward to your posts. 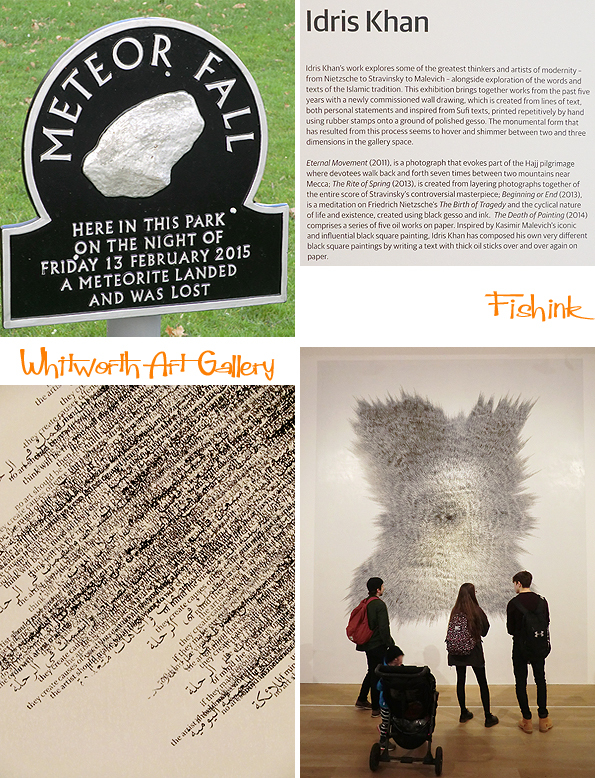 Thank you for this one–the Whitworth sounds lovely. Now you have my interest piqued!